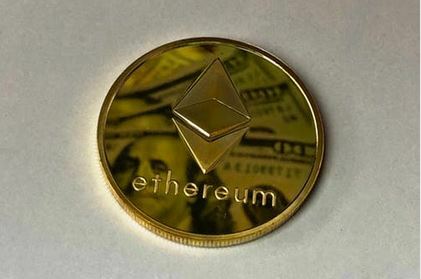 Ethereum well known via its token name ETH will proceed for its 6th and 7th network upgrade named as Constantinople & St. Petersburg Upgrade in about 1-2 hour time when ETH network will hit block number 7,280,000. You can also see the countdown here. 6th upgrade known as Constantinople upgrade was supposed to happen last month on 18 to 20 January 2019 , but less than 48 hours ago of scheduled upgrade in ETH network, a security vulnerability was discovered which could have affected Smart Contract Security. Seeing the threat developers called off Constantinople upgrade and delayed it till last of February. security vulnerability of Constantinople upgrade will be disabled by 7th upgrade St. Petersburg, that’s why both upgrade are going to happen at same time , so security vulnerability of Constantinople upgrade cannot be misused. Both will also take place at the exact same block number – 7,280,000. Known as Constantinople and St. Petersburg, both upgrades will be implemented as “hard forks,”. As an Ethereum user or ether holder is there anything you need to do? If you use an exchange wallet, a web wallet, a mobile wallet, or a hardware wallet you do not need to do anything unless you are informed to take additional steps by your exchange or wallet service. As a node operator or miner, what do you need to do? Download the latest version of your Ethereum client. What happens if you are a miner or node operator and do not participate in the upgrade? If you are using an Ethereum client that is not updated to the latest version , your client will sync to the pre-network upgrade blockchain once the upgrade occurs. 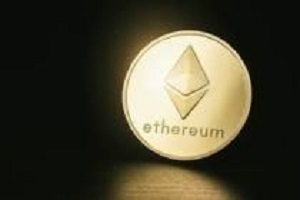 You will be stuck on an incompatible chain following the old rules and you will be unable to send ether or operate on the post-upgrade Ethereum network. What are Constantinople Upgrade changes? The following EIPs will be implemented in Constantinople. Provides native bitwise shifting with cost on par with other arithmetic operations. EVM is lacking bitwise shifting operators, but supports other logical and arithmetic operators. Shift operations can be implemented via arithmetic operators, but that has a higher cost and requires more processing time. Implementing SHL and SHR using arithmetics cost each 35 gas, while these proposed instructions take 3 gas. This EIP adds native functionality to protocol so that it is cheaper & easier to do certain things on chain. This allows interactions to be made with addresses that do not exist yet on-chain but can be relied on to only possibly contain code eventually that has been created by a particular piece of init code. This EIP makes it possible to interact with addresses that have yet to be created. This EIP makes it cheaper (less gas is needed) to do certain things on chain. This EIP proposes to delay the difficulty bomb for approximately 12 months and to reduce the block rewards to adjust for the time delay. This EIP will reduce Block reward from 3 to 2 ETH. What are St. Petersburg Upgrade Changes? The original Constantinople upgrade changes, listed above, will be applied to network and then to disable security Vulnerability due to it, a 2nd network upgrade to reverse the original Constantinople changes St. Petersburg will happen on the same block number . It will remove EIP 1283: Net gas metering for SSTORE without dirty maps. That’s all about Constantinople & St. Petersburg Upgrade coming on ETH network soon. As of now, Ethereum(ETH) was trading at $137 holding the second rank on market cap with $ 14.40 Billion market cap. FYI- Part 3 of “ICO: Why most ICO projects are destined to fail” will be published on 3/4 March instead of Today.